This week saw German political parties open talks to form a first-ever four-way coalition, with a successor to respected and feared paymaster Wolfgang Schäuble at the finance ministry one of the top prizes. Observers beyond Germany’s borders know a new finance minister in Berlin could help shape the future of the European Union and the euro single currency – or stymie the far-reaching reforms urged by French President Emmanuel Macron. Wolfgang Schäuble, Chancellor Angela Merkel’s money master since 2009, has stepped aside to become president of the Bundestag (lower house of parliament) after years spent fighting European fires while securing massive budget surpluses at home. He insisted on strict adherence to EU debt and deficit rules for countries pummelled by the financial crisis, believing only scrupulous enforcement could buttress financial stability and growth. The policy earned him respect but also made him a hate figure among Greeks and other heavily-indebted southern nations that faced biting austerity programmes. But anyone expecting a more relaxed Berlin in future is likely to be disappointed. 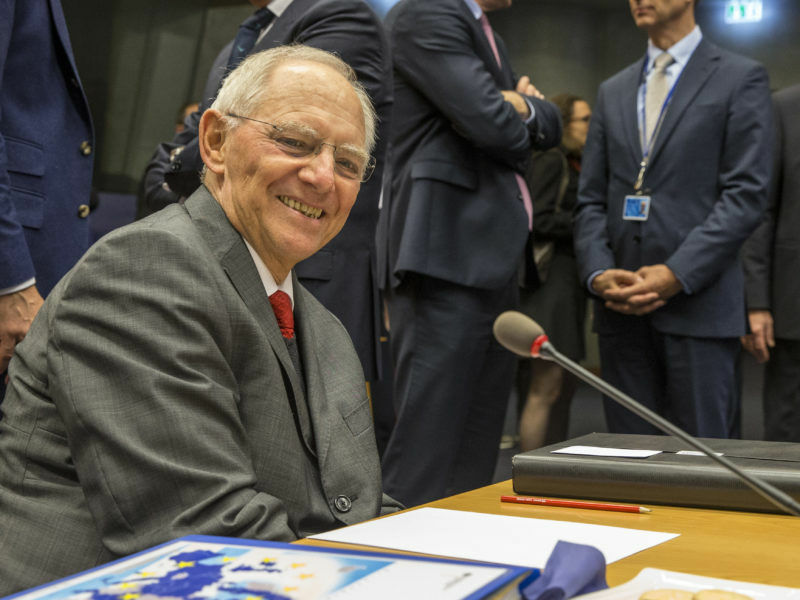 Eurozone finance ministers deluged German Finance Minister Wolfgang Schäuble with farewell gifts yesterday (9 October) as the man who inspired Europe’s austerity answer to the debt crisis attended his last meeting with them. A hoped-for “Jamaica” coalition – named after the colours of the centre-right CDU (black), pro-business FDP (yellow) and ecologist Greens, matching the Caribbean country’s flag – would largely share Schäuble’s tough-love outlook. 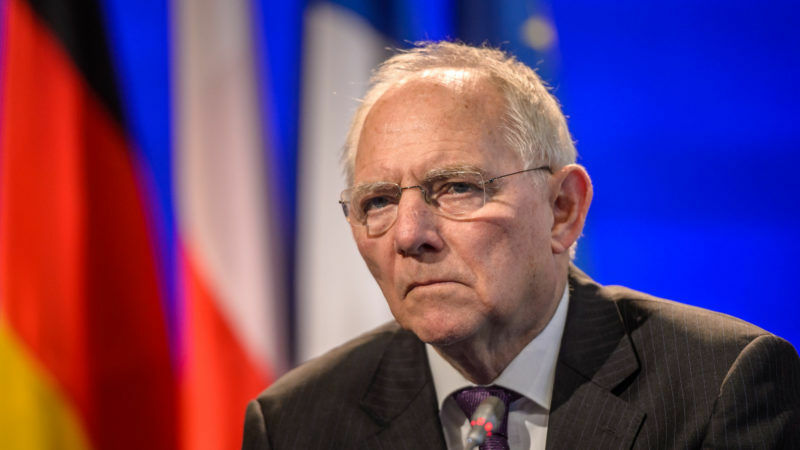 Around 80% of German voters support Schäuble’s policy of creating no new debts, known as the “black zero”, polls show. While both Greens and FDP have to varying degrees laid claim to the ministry, Merkel ally and CDU parliamentary leader Volker Kauder told news weekly Der Spiegel “I want the finance ministry to stay in our hands” to “preserve Schäuble’s legacy”. Berlin’s “reservations about sharing risks” in a eurozone budget “will remain significant” if a Jamaica coalition is sealed, analyst Tristan Perrier of Amundi Asset Management said in September. Berlin could back Paris’ hopes for a Brussels budget and finance minister “by giving them a very limited scope in terms of sums of money and powers,” he added. Merkel has hinted that she is open to some of Macron’s ideas. Paris has mooted a common eurozone budget to smooth out crises, or the creation of a European Monetary Fund that could lend to stricken states in exchange for economic reforms. Elements of her CDU/CSU and the FDP reject such plans, fearing they would create a permanent “transfer union” of richer eurozone economies subsidising poorer ones. They are now wondering how to restrain the chancellor from embracing the president too tightly. “I recommend separating the chancellery and the finance ministry politically,” FDP leader Christian Lindner told the daily Frankfurter Allgemeine Zeitung earlier this week. Post-election Germany: An iron chancellor with a liberal sidekick? If the liberal FDP enters a coalition with the conservative CDU in Berlin, Merkel and Schäuble will have to adapt their plans for the future of the European Stability Mechanism (ESM). EURACTIV Germany’s partner Der Tagesspiegel reports. Merkel often overruled party ally Schäuble on European policy, robbing the finance chief of his role as an “expert corrective” to the chancellor, he added. Liberal poster boy Lindner has thus far stopped short of demanding the keys to the former Nazi air ministry building that now houses the treasury, saying securing an FDP finance minister was of “secondary importance” to checking Merkel. Green leaders are less anxious than either FDP or CDU that neighbours want to pick Germany’s pockets – and have also signalled interest in the finance ministry. The “exciting” job “sets the direction in government and has a lot of influence at the European level”, parliamentary group leader Anton Hofreiter told news site Spiegel Online. Aside from Europe, the finance ministry will be a key lever of domestic policy in the next government, channelling bumper budget surpluses to increased spending or lower taxes. But investment or stimulus at home are unlikely to compensate for the massive trade surpluses racked up by Europe’s powerhouse, as EU countries, international organisations and trade partners further afield have demanded. 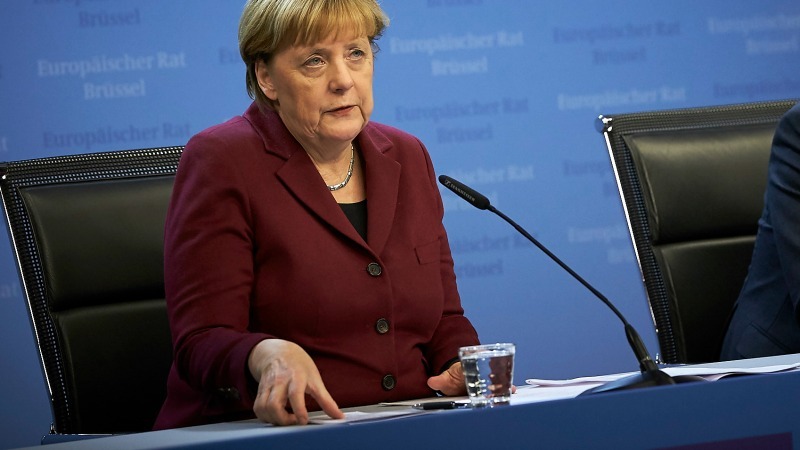 Elsewhere, battles are likely to spring up over Germany’s costly renewable energy subsidies or promises to spend more on police, security services and the military. Coalition talks are expected to inch forward, with an agreement unlikely before Christmas – if one is reached at all. In the meantime, “Germany is unable to decide anything” in Europe, Lindner told the FAZ, leaving Macron marking time as he waits for his indispensable partner.